Our friends over at VideOdyssey are hosting a battle of wits tomorrow night, in the form of a Bottom quiz, they're also showing an array of episodes chosen by dedicated Bottom fans. Tickets cost £5 for entry into the Bottom marathon and quiz, the ticket also gets you all the goes you can manage on the arcade games, so prepare your game face and button mashing. What are the ingredients for the Esther Rantzen cocktail? 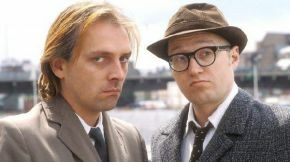 The competition closes tomorrow at 3pm, so pop your answers in the comments below for a chance to win tickets to tomorrow's Bottom quiz night. There will be 4 winners chosen.